Organising a hens day wine tour in the Barossa Valley? Organising a hens day wine tour in the Barossa Valley, or a baby shower or a group birthday party can be tricky for a few reasons. It can be tough to find wineries that accept large groups or hens days. It’s hard to organise a large group of people (some you hardly know) and you have to try to find the right balance of keeping the costs down, while also trying to create a special day for the hen/friend. 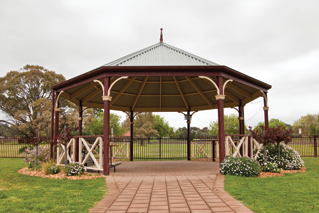 A venue that is going to welcome you with open arms for your hens day wine tour, baby shower or birthday celebration in the Barossa Valley. A beautiful setup that you can walk straight into without having to organise decorations. One venue that can provide, wine tasting, lunch/nibbles and a comfy spot to linger all afternoon for games if necessary. An affordable day out to treat the hen/friend, with no clean up! So in order to provide this we have come up with two different packages specifically designed for a hens day wine tour in the Barossa Valley. Gourmet meat and cheese platter to share (will be made to a size that will accommodate your group numbers). Includes local Barossa Cheese and Mettwurst, a selection of home-made red wine damper (made from our Monkey Nut Tree Merlot), dips provided by Zimmy’s Barossa, and crackers to share. A glass per person of our Sparkling Tina Frontignac. Setup of The Pallet Picnic, including native flower table decorations, cushions, rugs, pallets, wine glasses, small plates, water glasses, table water and pack down. Use of our UE boom speaker – just hook your own phone in and play your own music. Your own area on our lawns for games, etc – however please get in quick as this is an introductory package price and we have limited spaces available. High tea (one double tier high tea to share between two people). 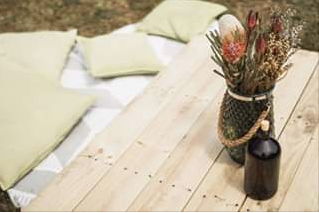 Setup of your special table including native flower table decorations, wine glasses, small plates, water glasses, table water and pack down. Exclusive use of our pavillion – however please get in quick as this is an introductory package price and we have limited spaces available.  At Kies Family Wines it is quite common that we will welcome 300+ visitors a day on the weekends, so we recommend that you lock your date in as early as possible. For further details and pricing please contact Rachel on (08) 8524 4120 or monkeynut@kieswines.com.au. We look forward to hosting you very soon! Are you available on the 28th of April for a baby shower? What kind of packages can you offer for a baby shower?